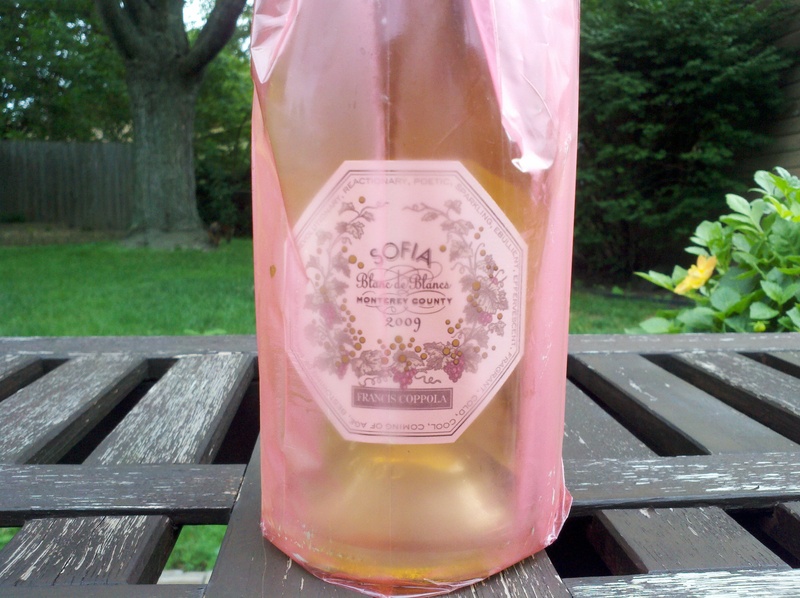 Wine Review: 2009 Francis Ford Coppola ‘Sofia’ Blanc de Blanc | Wine Splash! I have enjoyed many of the Coppola products and had an earlier vintage of Sofia Blanc de Blanc before and liked it. The 2009 is a bit lighter in some fruit flavors and leaning more towards minerality and herb. On Sight, it is straw yellow in color so that is good. On the nose, some peach, citrus, and a hint of floral. On the palate, lots of effervescence with a medium weight mouth feel. Light flavors of stone fruit. herb, minerality, and almost a “wheat” like finish that you would get from a wheat beer. Not a beer taste, just this essence of wheat. It was very refreshing and light and would be great on a hot summer day. Hopefully we have a few of those left! But it was nice and would be interested in trying a new vintage soon. This would pair well with shrimp and seafood, baked chicken with lemon, light to medium cheeses, or a light salad. On our SiNoTas scale, I would give the 2009 Francis Ford Coppola ‘Sofia’ Blanc de Blanc a B rating. (Or an 86 point rating for you numbers people. LoL!). Light, effervescent, and refreshing on a hot day! If you have a 2009, I would drink it by the end of this year because I don’t feel it will improve anymore with age. Unless you prefer a sparkling wine with less fruit and more herb. WineSplashing!